Matching food and beer is a very, very magical thing. But it’s also a very underrated thing. This week we have a copy of Ross Dobson’s beautiful Food + Beer book to give away so you can get matching your favourite brews with your favourite dishes. This profound statement is found on the back of Ross Dobson’s fantastic Food + Beer book and we couldn’t agree more with it. So often we talk about or hear about wine and food matching, while overlooking the potential that the right brew has to amp up our favourite foods. But it’s time for beer to have it’s turn. Top food writer and beer lover Ross Dobson has put together a collection of over 80 flavour-filled, relaxed international dishes perfectly designed to be enjoyed with a chilled brew. From Tempura Prawns to Balinese Chicken Curry to Slow-Cooked Lamb Shoulder, Dobson has crafted a book that is sure to please. Every recipe in the book includes a recommendation for the type of brew best sipped alongside it and throughout the book are feature pieces on some of Dobsons favourite beers from around the world. 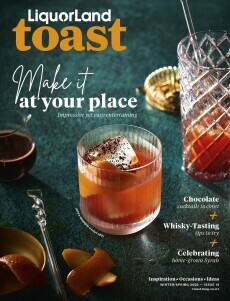 But it’s not just the content that wows – the stunning images and style of the book make this the ideal coffee table read (next to the latest issue of Toast magazine, of course. We have one copy of this beautiful book to giveaway to a Toast reader this week.